Independent & Group Malaysia Tours Packages in 2019/2020 from Travelbag. Cities that reach for the sky, idyllic tropical hideaways, and fascinating native wildlife. 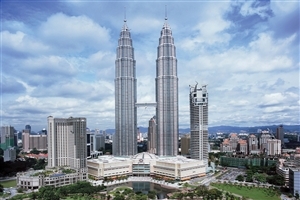 Malaysia is an endearingly beautiful country brimming with tempting tour opportunities. 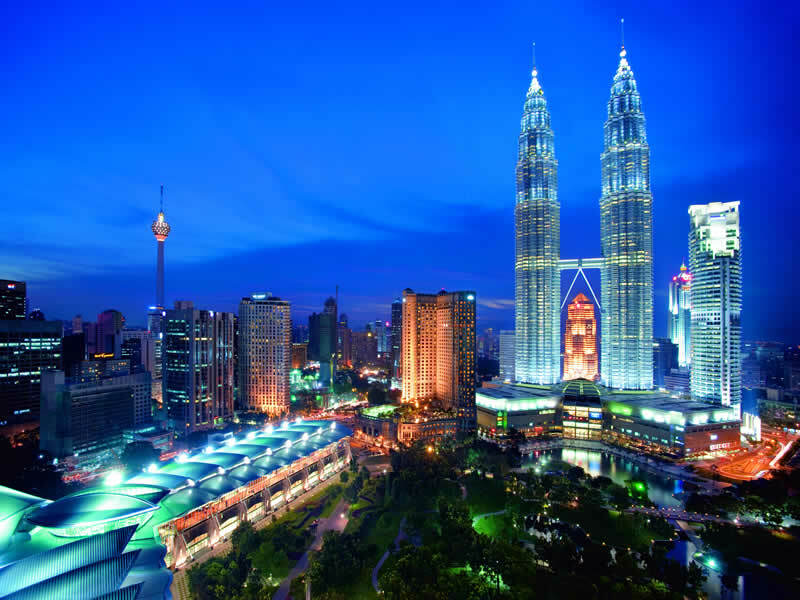 A Malaysia tour with Travelbag offers you the chance to explore this fascinating south-east Asian country, where captivating cities, lush rainforests and tranquil beaches are waiting to be discovered and enjoyed. Travelbag offers an excellent selection of comprehensive Malaysia tours, including flexible independent tours, escorted tours led by our team of friendly and knowledgeable guides and intimate small group tours, perfect for a romantic honeymoon. 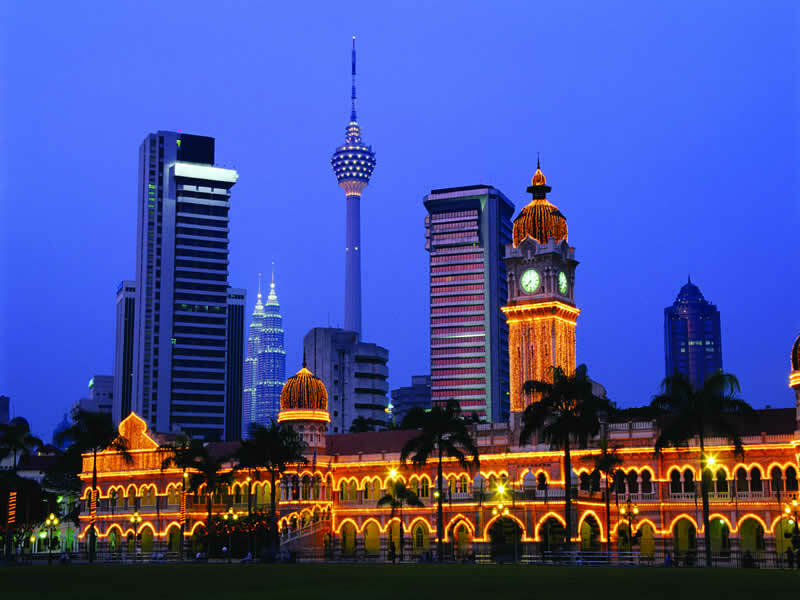 Come to Malaysia to discover Kuala Lumpur, a lively city that basks under the glow of the spectacular Petronas Twin Towers. Presiding over the city like a shimmering beacon, the Twin Towers are a must-visit on any Malaysia tour, but with excellent shopping centres, countless restaurants and interesting museums as well, you’ll never be short for activities in Kuala Lumpur. For those with a keen interest in nature, no holiday to Malaysia is complete without a visit to the beautiful state of Borneo. Home to the world’s oldest rainforest, the lush canopy shrouds a diverse array of species that won’t be found anywhere else in the world. Book a Borneo tour with Travelbag and you could find yourself having lunch with a playful orang-utan, swimming with turtles in the sparkling Celebes Sea, trekking into dazzlingly colourful forests or scaling the magnificent Mount Kinabalu – a truly unforgettable experience. 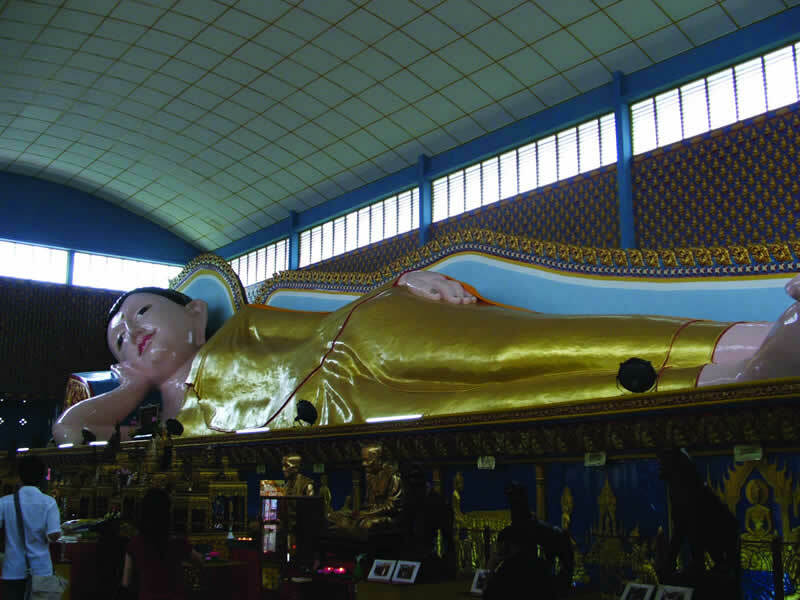 If you’re craving a day or two spent relaxing on some of south-east Asia’s finest beaches, a Malaysia holiday can take you to the pearly sands of Penang Island off the east coast or Langkawi, close to the border with Thailand. 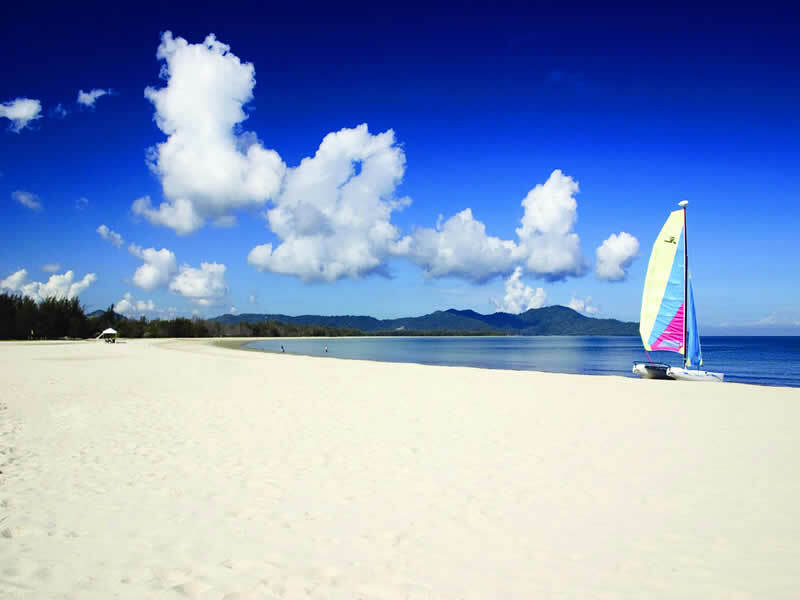 With splendid tropical scenery and a serene atmosphere, Penang and Langkawi are perfect for a seaside getaway. 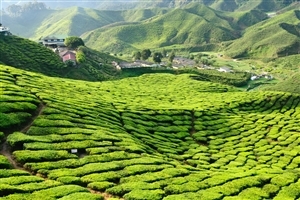 Enjoy a three day trip out from Kuala Lumpur to the Cameron Highlands – a region of Malaysia famed for its vast tea plantations and refreshingly cool temperatures. See how locals live before sampling the best produce from the area and enjoy the opportunity to explore the other side of the country away from the hustle and bustle of the big city. 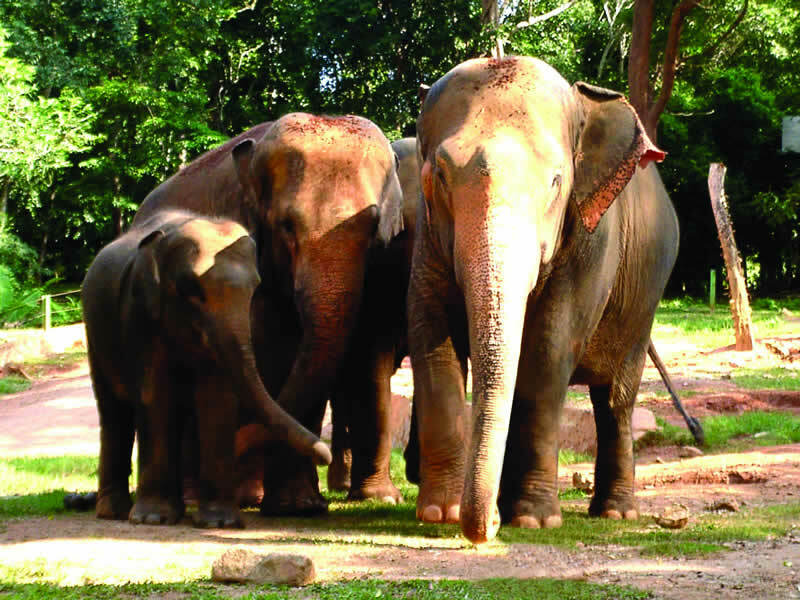 Travel away from the Malaysian capital Kuala Lumpur to explore the delights of Taman Negara, one of the oldest tropical rainforests in the world, on this three day trip. Take in impressive views of stunning scenery, admire the local fauna and flora, and gain an insight into jungle life before returning to the big city. Offering a captivating blend of epic natural beauty, ecological diversity and an immersive culture, a Malaysia holiday with Travelbag will leave you positively enchanted. 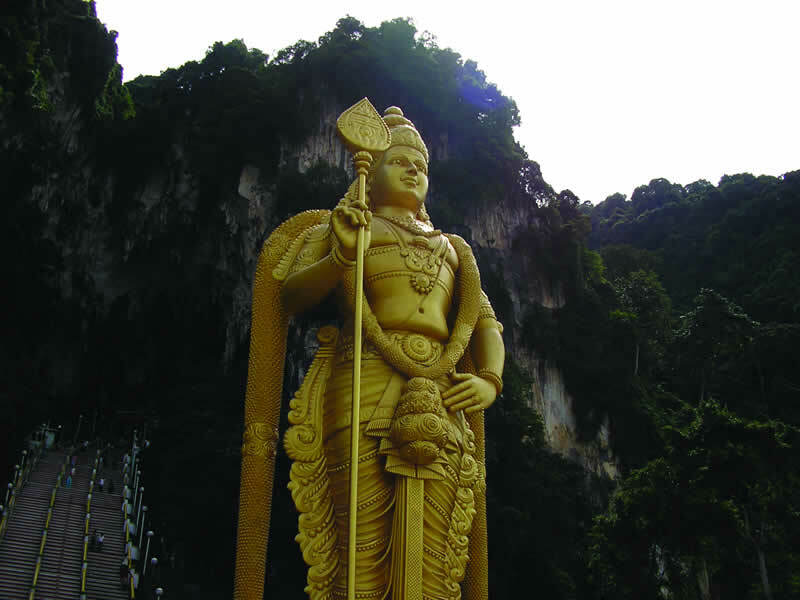 Book a Malaysia tour with Travelbag and you may find yourself scaling the extraordinary Twin Towers of Kuala Lumpur, meeting one of Borneo’s magnificent orang-utans or simply stretching out on the unspoilt sands of pretty Penang. Travelbag offers an excellent range of comprehensive tours designed for you, whether you want the flexibility of an independent tour, the benefits of an escorted tour led by our team of friendly and knowledgeable guides or an intimate small group tour, perfect for a romantic honeymoon. 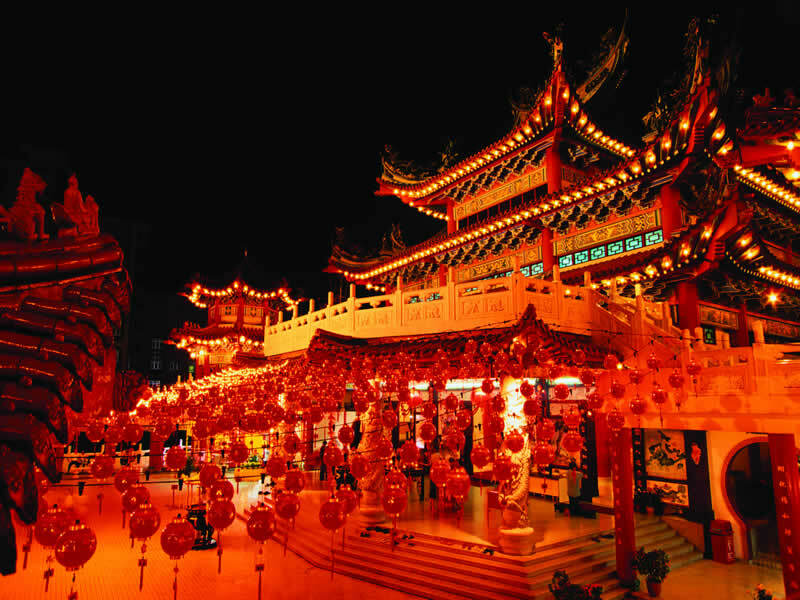 For more information about Travelbag’s excellent range of Malaysia tours, call 0203 944 2201 to chat with one of our knowledgeable travel experts about creating the perfect Malaysia holiday for you. Overlook the shiny city of Kuala Lumpur - Admire the views across Kuala Lumpur from the stunning Petronas Twin Towers, one of the world’s tallest buildings. Meet the Orang-utans of Borneo - Make acquaintance with Borneo’s famous Orang-Utans at the world-famous Sepilok sanctuary, where you have the chance to learn more about these remarkable creatures. 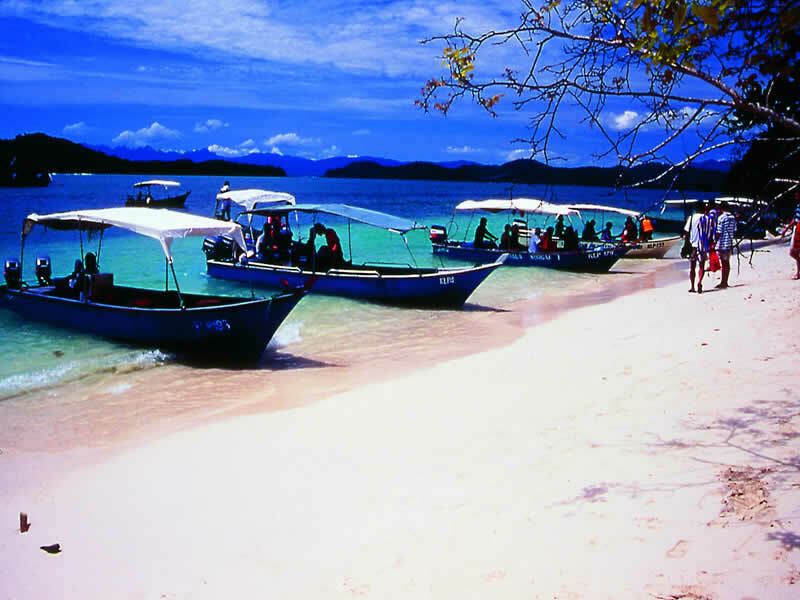 Relax on Langkawi’s soft sands - Set against the beautiful blue waters of the Andaman Sea, a visit to Langkawi is an opportunity to savour some of south-east Asia’s very best beaches. Swim with the turtles of Sipadan - Head offshore to the Borneo island of Sipadan where the reef and marine life abundant waters are ideal for unforgettable diving opportunities. 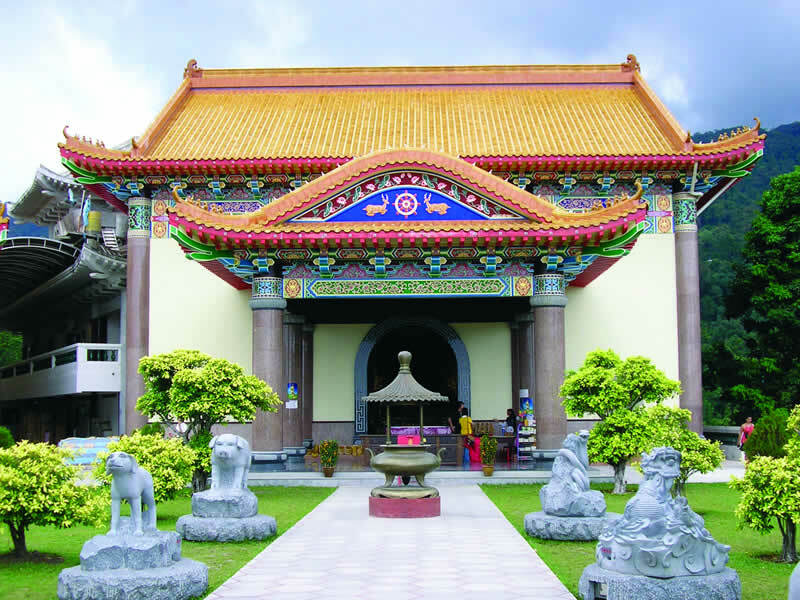 Discover pretty Penang - Treat yourself with a visit to Palau Penang, where you’ll have the chance to relax along stretches of pristine beach and explore the charming colonial city of Georgetown. 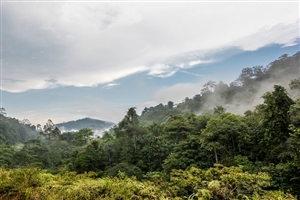 Trek into the Borneo rainforest - Venture into the dense rainforests of Borneo’s Sarawak to discover why it is considered one of the most ecologically diverse areas in the world. Lose yourself on Malaysia’s paradise island - Book a stay at Pangkor Laut Resort and you’ll be treated to your own beautiful tropical island overlooking the stunning blue waters of the Andaman Sea.